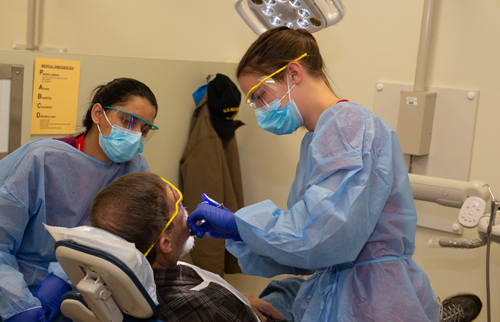 Faculty, staff and students at the Southern Illinois University School of Dental Medicine (SIU SDM) demonstrated their appreciation for the sacrifice and service of the nation’s veterans by providing free dental care at the inaugural Veteran’s Care Day. 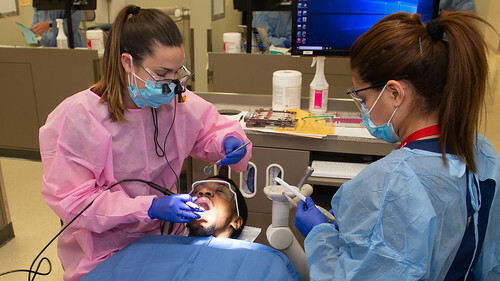 SIU SDM third- and fourth-year dental students, under the supervision of dental school faculty who are all licensed dentists, provided free exams, x-rays, cleanings, fillings and extractions at no cost. Nearly $22,000 worth of free comprehensive care was provided to 33 patients. Read more about this exceptional community dentistry event. Watch a video about the 2018 Veterans Dental Care Day at SIU SDM. View photos of the 2018 Veterans Dental Care Day at SIU SDM.